S0ap [noun]- a substance used with water for washing and cleansing, made of a compound of natural oils or fats and a strong alkali (typically sodium or potassium hydroxide), and typically having perfume added. Saponification is the chemical process that occurs when fixed oils or fats, an alkali, and water are combined to make soap. Legend says that an altar used for animal sacrifice was located on the top of Mount Sapo in ancient Rome. Speculation has it that fats from the sacrificial animals mixed with ashes from the ritual fires before sloshing downhill, soaking into the clay banks of the river. Allegedly, Roman women washing their clothes in the River Tiber at the base of Mount Sapo noticed that their clothes got really clean when they were washed along this particular stretch of the Tiber. We may never know exactly where humans started to use soap to clean their bodies, clothes, and other possessions, but Babylonian (located in present-day Hillah, Iraq) clay cylinders dating from 2800BCE, held a soap-like substance when excavated. Archeologists have also found a recipe for soap made of water, alkali, and cassia oil that was written on a Babylonian clay tablet around 2200 BCE. A papyrus found in Egypt that dates to 1550 BCE indicates that ancient Egyptians bathed regularly and combined animal and vegetable oils with alkaline salts to create a soap-like substance. Egyptian documents mention that a soapy substance was used in the preparation of wool for weaving. Meanwhile, on the other side of the African continent, societies throughout western Africa were developing and using what we know today as African black soap. 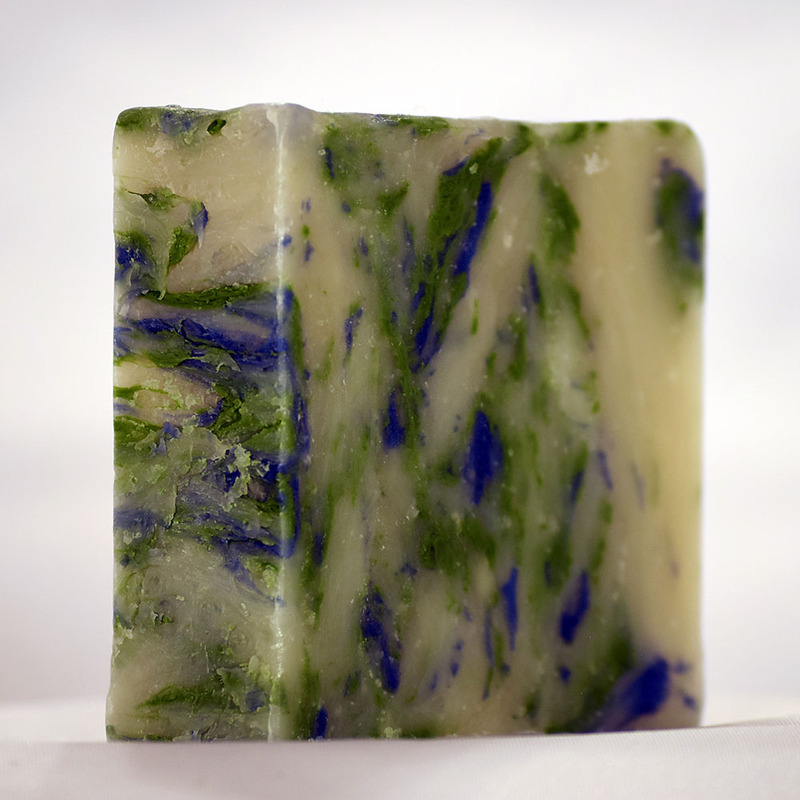 These soaps, too, were made from vegetable oils - including butter from the Karite, or Shea tree - water, and an alkali, primarily potash made by drying plantain skins and other vegetable matter. Today, many on both sides of the Atlantic Ocean prize Nigerian ose dudu, or black soap. Shea butter is a key ingredient in many soaps and skin-care products, including some of Luscious Lathers' soaps. And of course, Shea butter is the essential ingredient in our glorious Shea Butter Creams! Though there is evidence that the ancient Greeks manufactured soap, too, it appears that ancient Greeks and Romans did not wash their bodies with it. Instead, they seemed to prefer to rub their bodies with blocks of clay, pumice, sand and ashes, rinse in water, and then cover themselves with oil. Moisturize, moisturize, moisturize! The second century Greek physician Galen recommended washing with soap to ward off diseases of the skin, and eventually using soap gained wider use among ancient Greeks and Romans. When Pompeii was excavated centuries after Mt. Vesuvius buried it under tons of volcanic ash, a soap factory was found among the ruins. Ancient Arabs also produced soap - in fact they were quite famous for the soaps they made from olive oil fragranced with aromatic oils like thyme and other herbs. Arabs may have been the first to use sodium hydroxide (lye), and this basic formulation – base, or fixed oils, aromatic oil or fragrance, and lye - is still used in modern soap formulations, both handmade and commercial. Arab soap makers produced liquid and solid soaps, and they were known to color their soaps as well. The ancient Syrian city of Aleppo is famous to this day for its olive oil soap. Until the start of World War I, and its accompanying shortage and rationing of oils and fats, many American households had one designated soap maker. Commercially made soaps had been available since the late 19th century – though they were not in widespread use. Advertising campaigns in the United States and Europe helped to increase popular perceptions of commercially produced soaps. By the middle of the last century, it was commonly accepted knowledge that the use of soap is integral to the development and maintenance of personal hygiene.